Image | This entry was posted in Disney World and tagged boy, color, Disney World, Florida, play, Ricoh GR, shadow, street, street photography, sword, sword shadow. Bookmark the permalink. 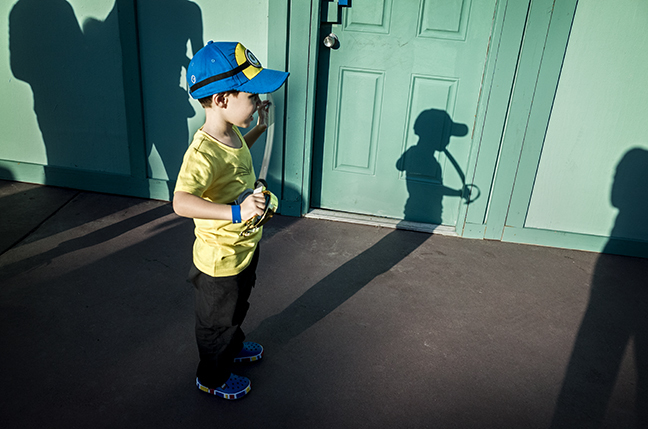 This works real well….very Disneyesque…..
Great shot, love the shadow, reminds me of peter pan ! As the “Cast Members” (employees of Disney) like to say in response to whether something is real, “Well, it’s Disney real”.